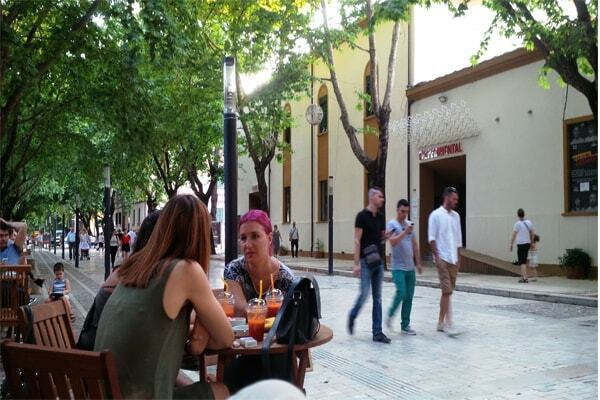 August is probably the quietest month in Tirana. It is hotter than hot here, so people try to escape to Durres beach or in numerous outdoor swimming pools in the suburbs of Tirana. It is quiet situation also in media. Politicians are not in duty and media doesn’t have much news to produce, as majority of news are about politics. Albanian love to discuss about politics. They discuss even international issues with the same passion. There are not many events in the city. So, august is quiet in all meanings, truly a holiday month. 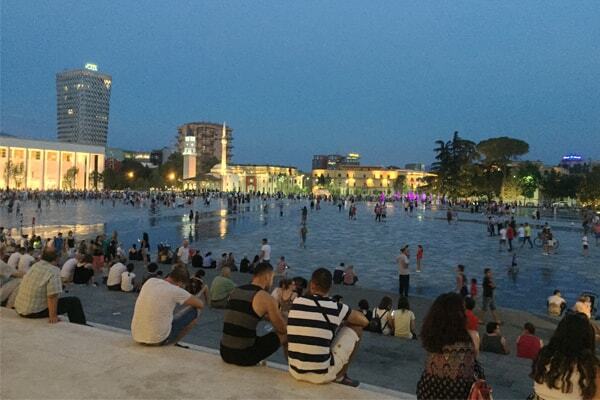 Usually tourists who are spending their vacation in other seaside cities of Albania, they come for at least one day or two in Tirana. 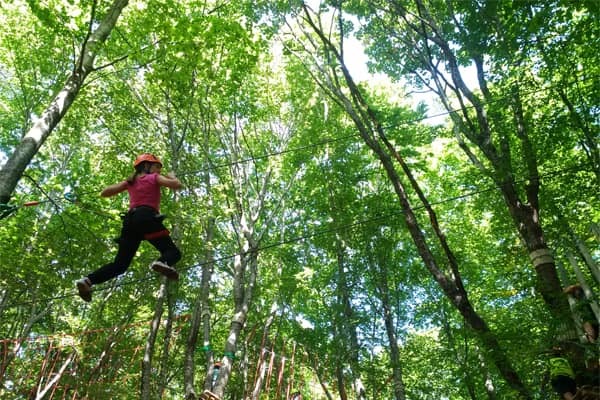 Tirana is becoming now a weekend break destination, so many travellers come here. Well, a walk to Skanderbeg square, a visit to National Museum and other attractions around the Square and along all “Deshmoret e Kombit” boulevard, is a must. Best time is in the evening, it is full of people and a lively atmosphere. During the day it is hot, but you can refresh yourself with a drink in one of the bars around the square. There are some other museums close to the center, such as Museum of Leaves showing the bitter past of Communism history. For lunch there are many restaurants in Tirana. We suggest for you Il Gusto, which is situated in the main Boulevard of Tirana. This restaurant serves traditional and Mediterranean food, which is very delicious. If you can’t stand the heat of Tirana, just stop to Rogner hotel, one of the most modern hotels in Tirana, which is along the main Boulevard, and spend some hours in their swimming pool. It is a fantastic place and the service is excellent. In the afternoon, a walk to the Big Park, Artificial Lake would be perfect. 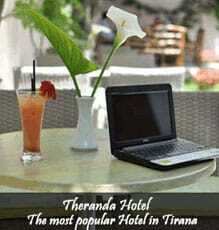 Or you can choose one of the many bars in Tirana to have a coffee or fresh drink. 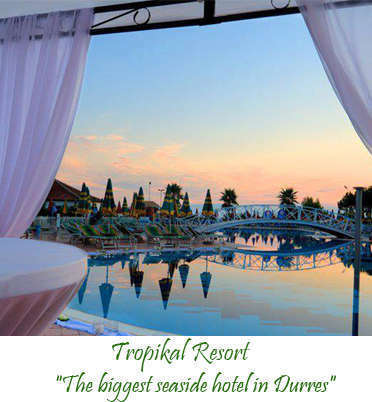 But don’t forget: Durres city and the Adriatic Beach are just a drive away from Tirana, only 30 minutes by car. So if you feel the heat of Tirana, go to the beach and fresh yourself up. Durres itself has many other attractions to see, but the most important is Archaeological Museum. All museums are open in August. You can combine cultural and beach tour. As you can see, even in August, you find things to to in Tirana and in its vicinities. 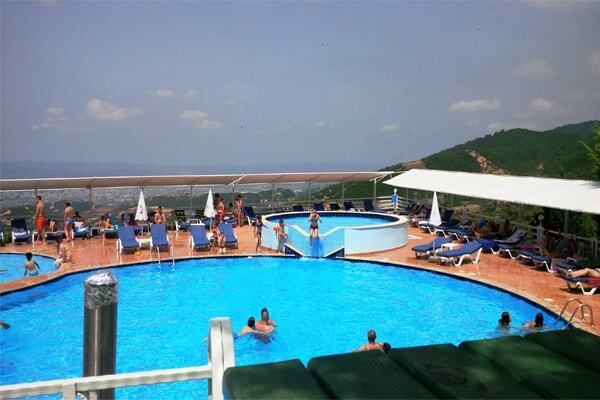 You can choose Dajti Mountain, Durres beach or private swimming pools in the green hills around Tirana.